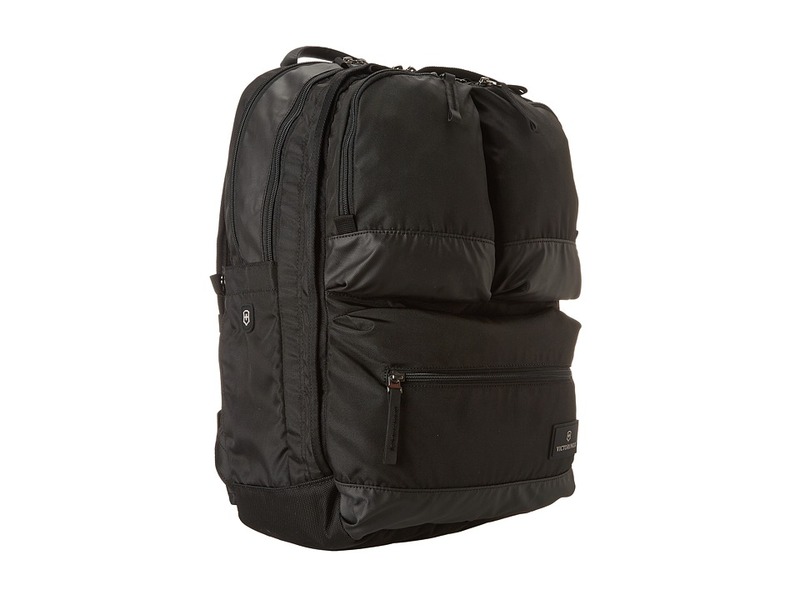 This rugged and functional backpack is perfect for a busy, mobile lifestyle. Versatek fabric with abrasion-resistant Isynetic ballistic nylon base. Padded rear compartment can hold up to a 17 laptop. Also features a 10 tablet or Kindle padded compartment. Additional interior storage includes flapover pockets, mesh pockets and pen slots. Exterior storage features three front zippered storage pockets and multi-purpose, snap-away stretch side pockets. Adjustable shoulder compression straps. Sternum and waist straps distribute weight evenly. Imported. Measurements: Bottom Width: 13 in Depth: 7 1 2 in Height: 19 1 2 in Strap Length: 35 1 2 in Strap Drop: 15 in Handle Length: 7 1 2 in Handle Drop: 1 1 2 in Weight: 2 lbs 2 oz Proposition 65 WARNING: This product contains chemicals known to the State of California to cause cancer and birth defects or other reproductive harm.